Crispa Gold is suited for any cooking methods. It is made out of sunflower seed and contains antioxidants for maximum oil stability. Crispa Gold is known for its anti foaming attributes that prevents food items that are moist to bubble when in contact with the heated oil. 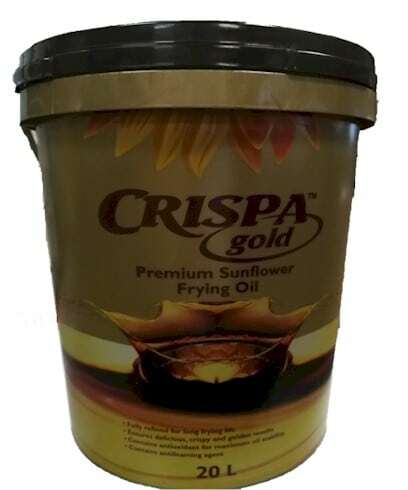 For additional frying life, Crispa Gold is triple refined for extra long frying life. Place an order for Crispa Gold now!